Grew Up… tough. Lincoln has always had his brother Michael. Since losing their mother, the two haven’t had much more than each other to hold onto, learning early to stick together and have faith that things will work out, while doing what they have to do to get by. For Lincoln, this meant growing up fast, dropping out of high school in Toledo, Ohio, and moving to Chicago to enter the criminal underworld. Living… on death row. Lincoln is an inmate at Fox River State Penitentiary, and though he’s an innocent man (at least of the crime for which he was convicted), he’s also managing to make his peace. He is now living the last month of his life – or so he thinks. Profession…criminal. Lincoln cut his youth shorter than most young men, turning to a life of crime while still in high school. Though far from selfish, his actions pushed away many of the people Lincoln cared about – something he deeply regrets. As he puts it, “I’ve made a lot of mistakes in my life, but I’m gonna make it right.” Yet with $90,000 in debt, he took one last job: a hit on Terrence Steadman, brother of the Vice President of the United States. When Lincoln arrives at the crime scene and finds Steadman already dead, he realizes he has been set up. Now the question is why. Interests… he doesn’t have time for hobbies at the moment. He passes his days in prison labor and quiet reflection. Relationship Status… divorced for some time. He was also in love with his high school sweetheart, Veronica Donovan, before she ended the relationship to go away to college, and the two dated again after she returned from law school. Years later, that love lives on in some form. After Lincoln is convicted of murder, though Veronica all but gives up on him – writing him off as a murderer. Challenge… surviving death row. On the one hand, Lincoln’s challenge is to reconcile with his son, L.J., and with himself. Yet, on the other hand, just when he appears to have accepted his fate, his brother Michael shows up as an inmate at Fox River with a plan to break out. Lincoln tells him, “You know, I’d made my peace with what was coming. And then you show up and give me the one thing a man in my situation shouldn’t have: hope.” Lincoln’s challenge is to choose between hope and resignation. If he chooses hope, he’ll have to fight to stay alive. Personality… solemn, humbled, and stoic. Lincoln possesses the quiet strength of a man coming face-to-face with his own mortality. Though he professes himself innocent – and he is – he is in many ways prepared to meet his maker. But if he and Michael are to make Michael’s escape plan work, maybe Lincoln can find out who set him up. 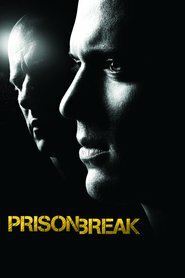 Lincoln Burrows's popularity ranking on CharacTour is #2146 out of 5,000+ characters. See our top-ranked characters and read their profiles.